Pretty much everyone knows of famous old-school renaissance painter Leonardo Da Vinci. Younger fans may have come across him from the blockbusting book and film. ‘The Da Vinci Code’. For others, it is perhaps his skill as an artist and inventor that they remember him for. Although he painted many well-known pictures like ‘The Last Supper’, it is probably the ‘Mona Lisa’ he is most famous for. Hanging in the Louvre gallery in Paris, this small portrait has bewitched art fans and critics for centuries. Featuring an unknown woman painted by Da Vinci with an enigmatic smile on her face, the true meaning of the painting is a hot topic. 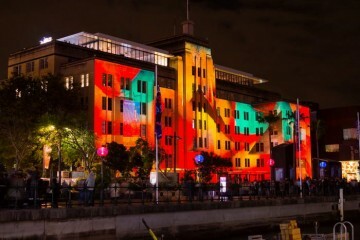 If you want to know more about this superb work of art, here are the ten most interesting facts about it. As noted above, the first big mystery for this painting is the true identity of the woman shown in the portrait. 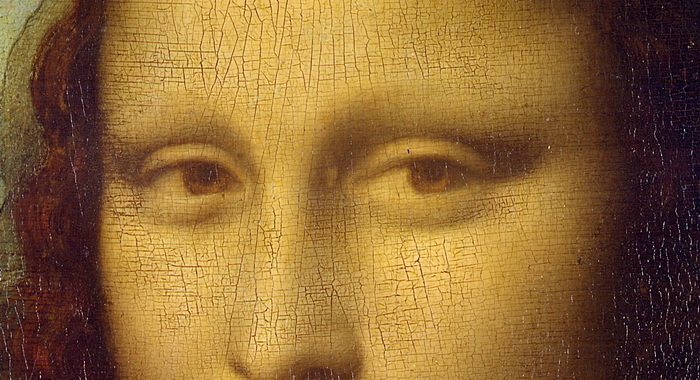 Just who was the real Mona Lisa? 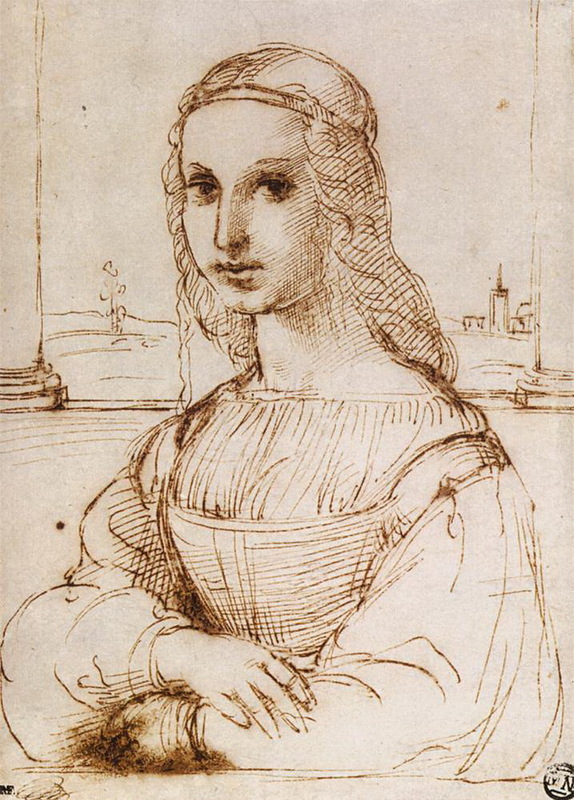 Many historians believe that she is Italian noblewoman Lisa del Giocondo who was born in 1479. Giocondo was married to a wealthy merchant when alive and many think he commissioned Da Vinci to paint her likeness. There are other names that have been suggested though! Catarina Sforza has been earmarked as the real Mona Lisa and some say that it is one of Giuliano de Medici’s mistresses! 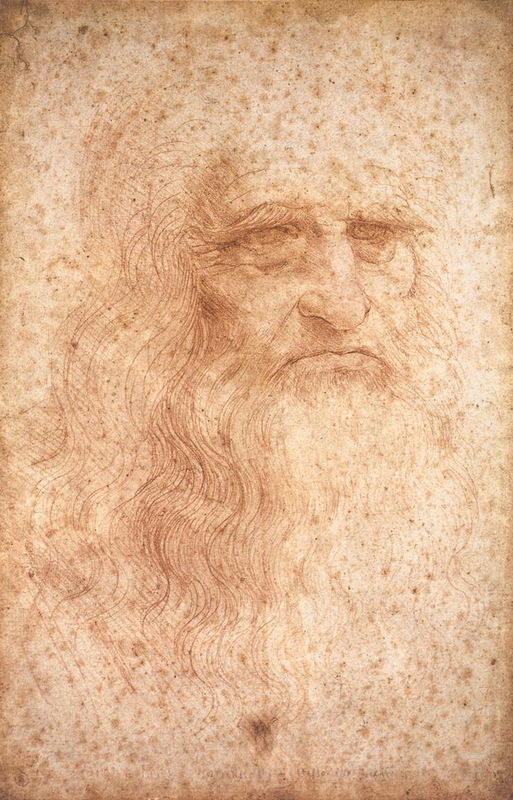 For a truly out there idea, some say that it is an embellished self-portrait of Da Vinci himself. Aarrrrh, the famous Mona Lisa smile! Perhaps the best-known aspect of this work, any who has seen it knows the alluring yet enigmatic expression on Mona Lisa’s face. The big question for many is: What is she smiling about and is it a happy smile? The reason behind her expression is not really known and something that may never be confirmed. Recent research has looked into whether her smile is actually a happy one though. Dutch researchers’ developed a computer program in 2005 that suggested it was indeed a happy smile. The curious thing is though that people report the expression looking different from different viewing angles. As anyone who has seen ‘The Da Vinci Code’ knows, old Leonardo was quite big into his secret codes and messages. Many believe him to have been involved in secret societies like the Illuminati for example which use secret messages extensively to operate. All this is somewhat backed up by the presence of hidden letters and numbers in the Mona Lisa. 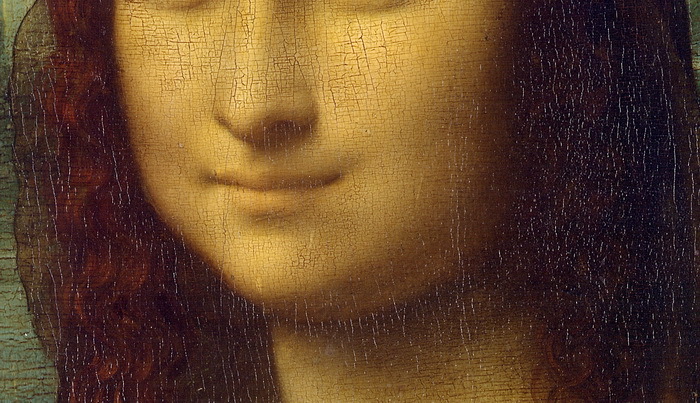 In one of her eyes for example are the letters ‘LV’ which many think refer to Da Vinci himself. There are however other figures and letters painted onto the picture in a way that the naked eye cannot see. What do they mean and why would Da Vinci do this? 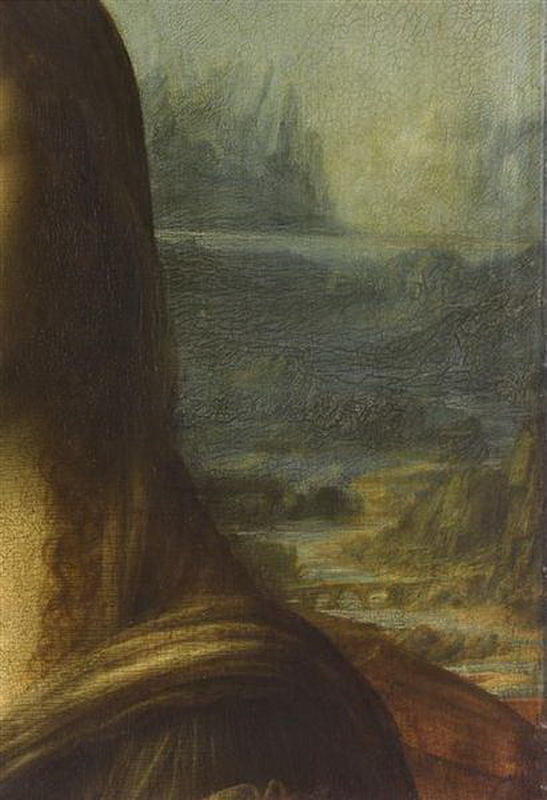 Much of the attention when it comes to the Mona Lisa rightfully rests with the woman shown in the foreground. The landscape behind here is just as interesting though! One example of this is a bridge shown that no-one can place. The nearest guess is that it is the three-storey bridge from a town near Piacenza in Italy. The number ‘72’ has been covertly painted onto an arch which many think refers to a massive flood that the region saw in 1472. Another very mysterious and some would say creepy aspect of this artwork is how the Mona Lisa’s eyes seem to follow you around the room. 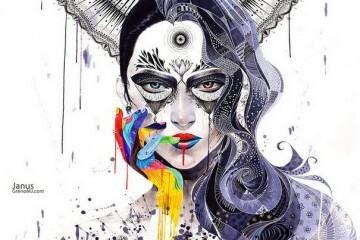 Whatever angle you are at to it and whatever distance, her gaze seems to watch you wherever you are! Many believe this is just the result of Da Vinci’s superior skills and knowledge of dimensions. By skillfully painting light and shadow into the picture, a sense of 3D depth is created also. 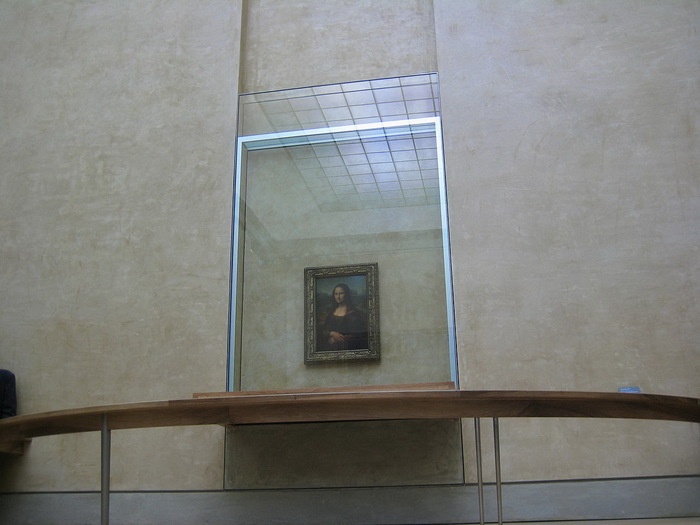 Experts believe that this 3D effect is what makes the Mona Lisa’s gaze follow you around the room. When you look at the Mona Lisa, you think that you are seeing everything. After all, if anything else were there you would notice it. However, this is not the case! In 2006, Canadian scientists used special laser imaging techniques to show hidden sketches underneath the main portrait. This included seemingly preparatory work from Da Vinci on the position of the Mona Lisa’s hands and where the blanket on her knee sat. 04 – A Secret Pregnancy? Among the many mysteries that this painting offers are those around whether the Mona Lisa was pregnant. Experts believe that the hands demurely folded over her stomach actually hide a baby bump from viewers. This theory ties in with the Mona Lisa being Lisa del Giocondo as she would have been pregnant with her second child when the picture was produced. There have also been images of a guarnello revealed underneath the main portrait by infrared scans. This is a piece of clothing only work by pregnant women in the relevant period in Italy. 03 – Is The Golden Ratio At Work? 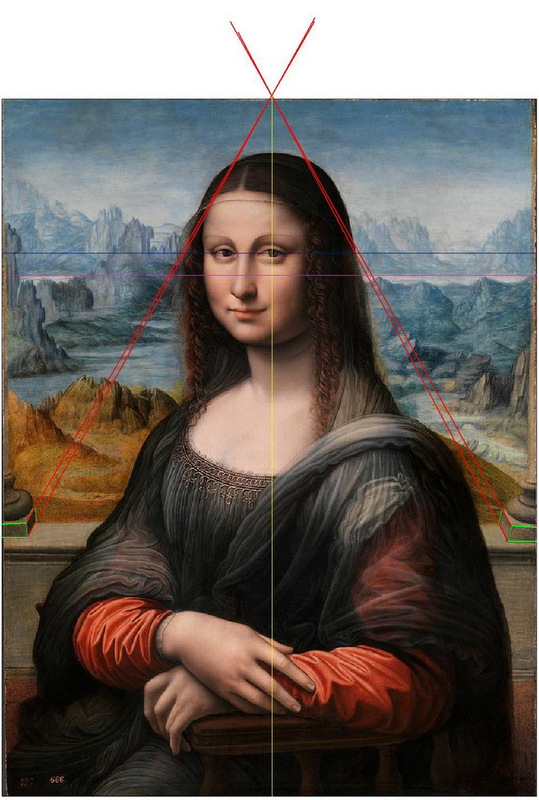 Da Vinci was obsessed with a principle known as the ‘Golden Ratio’. This was a mathematical proposition that set out the most pleasing proportions of objects or features to the human eye. First found in nature, Renaissance artists then began using this ratio to give their pictures added beauty. It has been found that this ratio may be at work in the Mona Lisa which is why it has such an allure and sense of elegance to the human eye. 02 – Stolen – But Why? 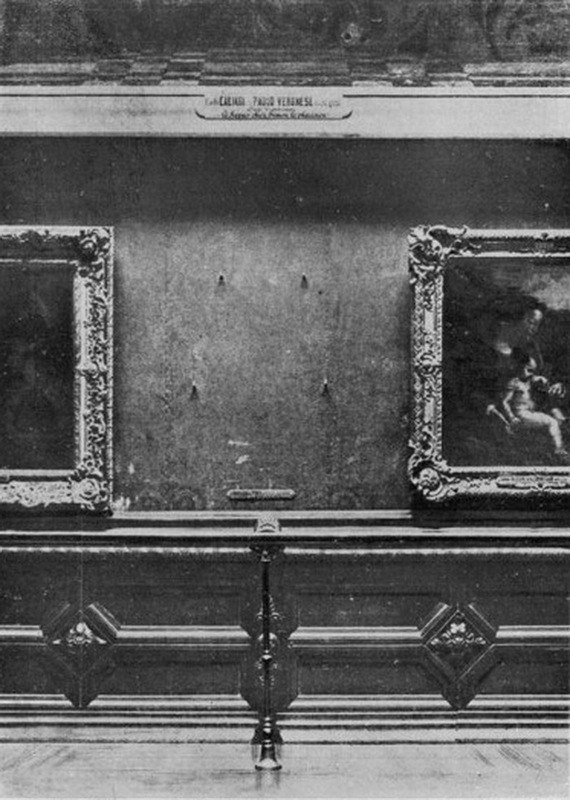 In 1911, the Mona Lisa was stolen from the Louvre by Italian employee Vincenzo Perugia. The official reason given by Perugia was that he believed the painting belonged in Italy which is where Da Vinci was from. Perugia thought that Napoleon Bonaparte had stolen it when rampaging through Italy and that it should be back home instead. Many think that this is not the true reason though! Some suggest that the Louvre itself may have paid Perugia to carry out the theft to gain more publicity for the painting. Others think that it was stolen to make copies of and then sell to greedy private art lovers. 01 – Was The Mona Lisa Ill? In recent times, it is perhaps the mystery around her health that many check the Mona Lisa out for. Dr Mandeep Mehra was standing in line to view it one day and began to notice tell-tale signs of a condition called hyperthyroidism. He picked up that the woman in the picture had thinning hair, sallow skin, a bump in the corner of her eye and a swollen index finger. As a healthcare professional, he soon realized that this could point to her suffering from thyroid problems. While this is one mystery that we may not solve, it is an interesting idea. 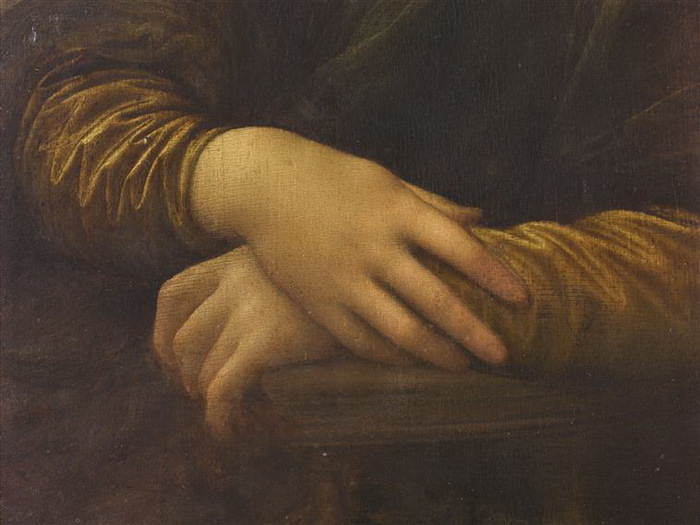 As you can see, there are many different mysteries and intrigues around the Mona Lisa. 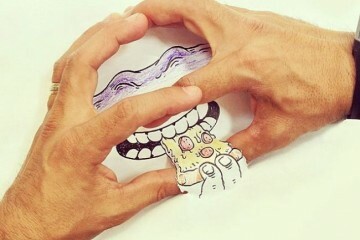 The funny thing is that Da Vinci himself would love this! He seemed to enjoy putting little messages or odd things in his work to make people talk. What we do know however is that this is one amazing piece of art that everyone should see at least once in their lifetime.